KHOTANG, Jan 5: Against the existing laws, the Department of Transport Management (DoTM) has been found to be issuing three route permits for a single passenger vehicle. Employees at the DoTM are suspected to have taken a huge lump of commission for illegally issuing such permits. Only recently, the DoTM issued two more route permits to a bus (Ba 3 Kha 7817) that has already been plying the Khotang-Kathmandu road section. The bus has been granted additional permit for Okhaldhunga and Solukhumbu routes. 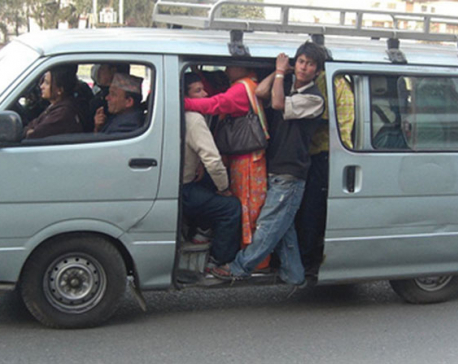 Transport entrepreneurs in Khotang were caught by surprise after discovering that the bus has permits for three routes. “I really don't understand what is happening. We don't get permit for more than one route, while other entrepreneurs are found to have about 3-4 route permits,” said Ram Himang, secretary of Transport Entrepreneurs Association in Khotang. According to him, his association does not have a single bus with multiple route permits. Along with Khotang Transport Entrepreneurs Association, other associations including Mid-hill Transport Entrepreneurs Association, Himal-Tarai Transport Service, among others are active in the district. Sources claimed that the bus having multiple route permits belongs to Himal-Tarai Transport Service. 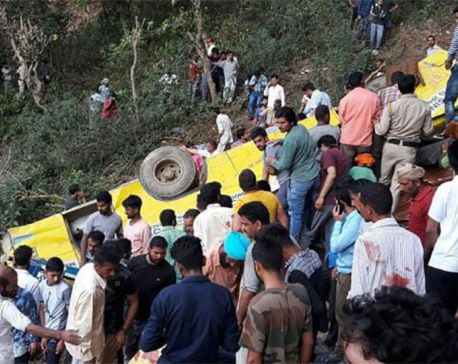 “One transport entrepreneur may have permit to operate its vehicles in different routes, but a vehicle can have only one route permit,” said DSP Man Bahadur Khadka of the District Police Office, Khotang. Various transport entrepreneurs' associations of the district have expressed serious displeasure toward the DoTM for arbitrarily issuing route permits. They have claimed that many vehicles have gained multiple route permits in other districts as well. “Both the parties - the one that issues multiple permits and the one receiving it - should be punished,” said secretary Himang.